Wii U owners hesitant on leaping to Nintendo’s new console have another golden opportunity to so next week. Starting next Thursday, Wal-Mart will begin selling a new Nintendo Switch bundle complete with a handful of Splatoon 2 accessories; this bundle was previously offered for Japan and Europe, however Wal-Mart recently acquired exclusive rights for North American distribution. The exclusive “Nintendo Switch Splatoon 2 Bundle” includes the 32GB model Nintendo Switch, a digital copy of Splatoon 2, and a pair of lime and magenta Joy-Con controllers inspired by the game’s own vivid ink colors; those planning on taking their Switch on the road may do so with the included Splatoon-themed Switch deluxe carrying case. The Nintendo Switch Splatoon 2 Bundle will be available for purchase exclusively through Wal-Mart starting on 9/8 for $379.99. 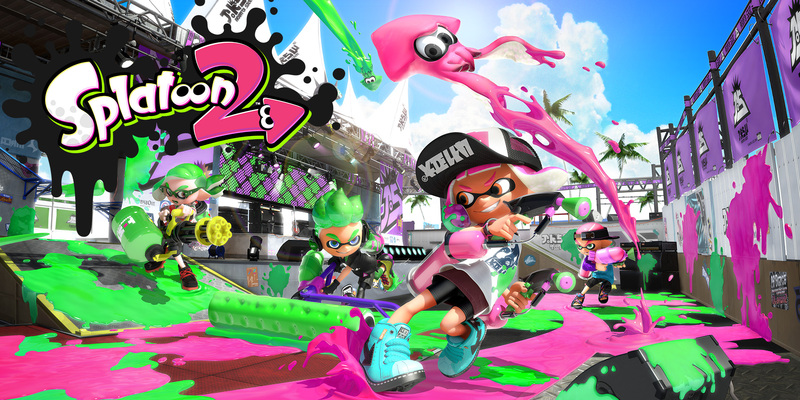 Despite its clunky smartphone-tethered social online service, Splatoon 2 is one of Nintendo’s best-selling titles for the Switch, and continues to be one of the most active multiplayer games on the new console; the original Splatoon debuted for the Wii U in 2015, and holds the record for the sixth best-selling Wii U title of all time. Splatoon 2 is available exclusively for the Nintendo Switch.